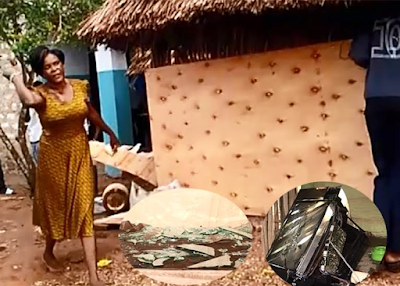 Home > PHOTOS > Angry woman destroy pastor husband's property for cheating, man says "culture allows him to marry 4 women"
Angry woman destroy pastor husband's property for cheating, man says "culture allows him to marry 4 women"
An aggrieved woman who accused her husband of infidelity went on a rampage and destroyed his café in Ukunda, Kwale County, Kenya in a fit of fury. Mrs Nyaga said her husband, who is also a pastor, has abdicated his responsibilities, adding that she is now demanding that her husband of 20 years does the honourable thing and introduces his lover formally if he has intentions of marrying her. "I inquired from my husband if he had completed putting up the cafeteria. He was shocked that I knew of his secret investment. Angry at me, he questioned who informed me about his underground project," the aggrieved woman told eDaily. 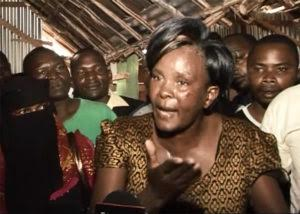 Ms Nyaga told Citizen Digital that her husband has been using proceeds from the café for the upkeep of the woman and has even built her the business. "If only my husband had informed me of his clandestine activities, I would not have resorted to doing what I did. I would have warmly welcomed his second wife,” added Mrs. Nyaga. 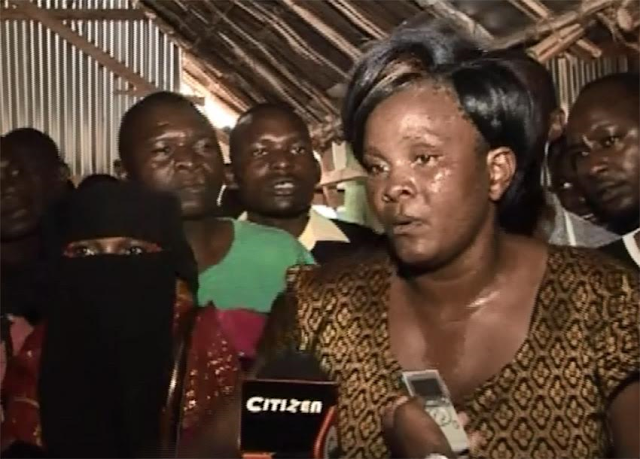 "Marrying a second wife is not a problem, but he should come with that woman and tell me this is my second wife," Mrs Nyaga added. On his part, the unapologetic pastor at New Apostolic Faith Church said that his culture allows him to marry up to four women, noting that he had done nothing wrong. "I am from the Tharaka community so I can marry up to four wives, even your dad has two wives," he said. As the couple went through the embarrassing public show, petty thieves were taking advantage of the situation to make away with whatever they could lay their hands on. Mrs. Nyaga also accused her husband of "enslaving" their son at the hotel – only for the proceeds to benefit the other woman. "He took my son and employed him as a handyman. He recently fired him, claiming that the boy stole KSh500 from the hotel. I am very bitter at him (husband). We have three children together. The first born is 20, the second born is 14 and the last born is 10." "He is the pastor at New Apostolic Faith Church and should be showing us a good example," she said. An eye witness described the scene as embarrassing, adding that the man’s life was in danger because both women showed up with knives, adding that the couple could have settled the dispute at home instead of such a public show. "To tell you the truth we men have more than one woman, but they should have settled the dispute in their own home," he said.